Yet another gypsy moth infestation ahead for Mass. Gypsy moth caterpillars devoured trees across more than 100,000 acres in large swaths of Massachusetts last year. Massachusetts experienced a near-biblical swarm of gypsy moth caterpillars last summer, as the voracious, finger-long, invasive pests devoured trees across more than 100,000 acres in large swaths of the state. Now, state environmental officials are predicting widespread defoliation from gypsy moths again in 2017. Foresters surveyed areas throughout the state and found egg masses, pointing to the likelihood of another moth-infested season ahead. You can blame the ongoing drought for this one. “Recent drought conditions have limited the effectiveness of a soil-borne fungus, Entomophaga maimaiga, which has helped keep gypsy moth populations in check since the last large outbreak during the 1980s,” state officials said in a recent statement. 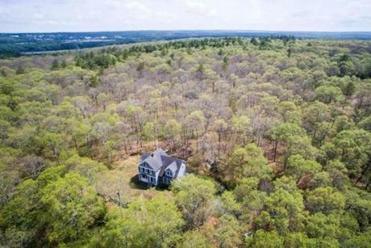 Normally, the invasive population has largely been contained by natural forces like weather and predators, but the drought has interfered with the cyclical pattern, causing the population to skyrocket and wreaking havoc on Massachusetts’ forests. 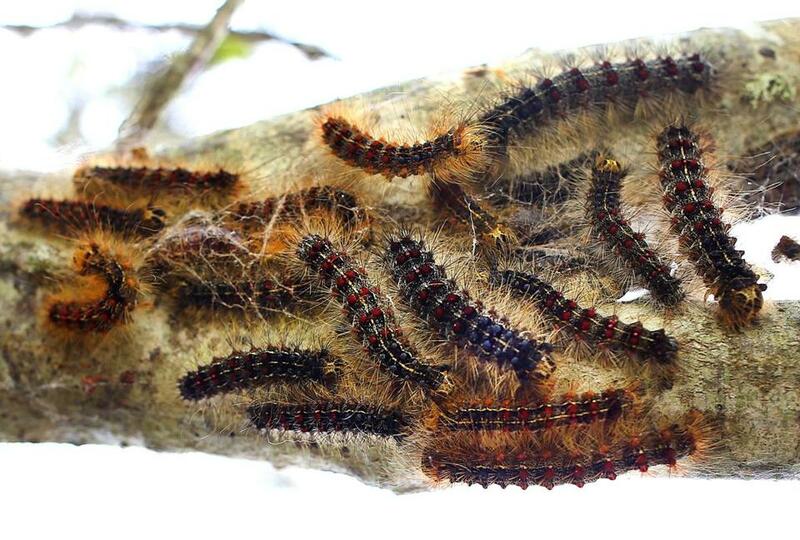 A Biblical outbreak of voracious, finger-long gypsy moth caterpillars, the biggest in more than three decades, is devouring trees across Mass. This summer could be “as bad, if not worse,” said Ken Gooch, forest health program director for the Department of Conservation and Recreation. He added that, because of the drought, there had been “no real recovery” of the trees since last year. The DCR is watching more than 350,000 acres of forest it considers at risk, Gooch said. DCR Commissioner Leo Roy hopes it isn’t too late to protect the forests. Forest health specialists are advising people to hire certified arborists or someone licensed to apply biological pesticides to bring the population back down to manageable levels. The pests can challenge the most intrepid campers, who must contend with droppings eerily raining down from the trees. The plague of gypsy moth caterpillars was particularly serious in 1981. That year, regarded as the annus horribilis for the red-and-brown larvae, the insatiable beasts cut a swath of destruction across more than 200,000 acres of Massachusetts hardwood and millions more nationwide.